The HIPAA Privacy Rule provides federal protections for personal health information held by covered entities and gives patients an array of rights with respect to that information. At the same time, the Privacy Rule is balanced so that it permits the disclosure of personal health information (PHI) needed for patient care and other important purposes. AccuShred helps medical facilities maintain their HIPAA compliance by providing secure containers for the storage of PHI and then completely destroying that personal health information. 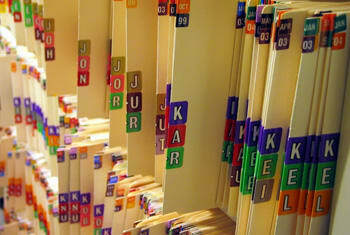 For more information on HIPAA, please visit the Health and Human Services Website.